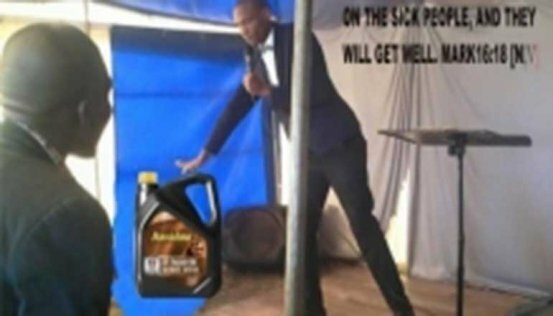 A South African pastor Bongani Maseko of the Breath of Christ Ministries, has come under a lot of fire for leading his congregation to drink motor oil..YES! 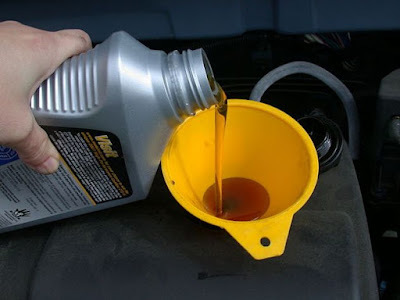 MOTOR OIL! in a bid to save and heal them from their atrocities. 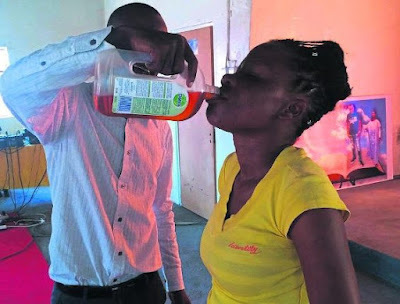 The pastor is seen in a Facebook post serving mouthfuls of Havoline motor oil to parishioners who seem to be more than happy to drink the toxic concoction. People were obviously outraged by the bizarre practice, but some argued that it was probably anointed water or wine, only that it had been stored in an oil container. “After all, who in their right mind would ask people to drink engine oil to be cured?” some argued. Well, apparently Prophet Maseko would, and actually did. 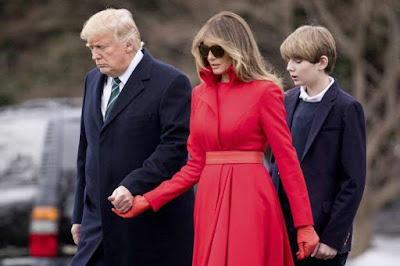 Contacted by various South African news outlets, he confirmed that the bottle in the photos did actually contain motor oil, but said that it was perfectly safe for consumption because he had prayed over it. “When we pray over anything, its poison dies. So it can’t harm people. Nothing happened, no one has been to hospital,” the controversial man of faith said. To prove his point, he even cited Bible verses. “Jesus spat on the ground and made mud. He took that mud and smeared it on the eyes of a blind man and, instantly, that blindness was healed,” Maseko said. 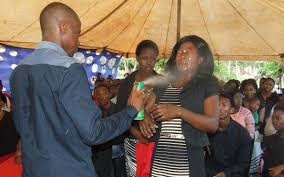 This news comes just weeks after another ‘prophet’ in South Africa sprayed insecticide in the faces of his congregation as a way to cure them of their diseases, and people are starting to take these incidents seriously. Meanwhile, just the other day, Pastor Lethebo Rabalango of Mount Zion General Assembly Church placed a heavy speaker on top of a young woman lying on the ground and climbed on it, expecting her to be delivered of demons. The woman passed out and later died due to internal bleeding. The prophet was never arrested.